Many of you asked for the AZ-900 practice tests and here we go! 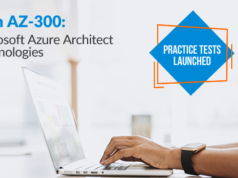 Yes, we are happy to announce the launch of Azure AZ-900 practice exams that will give your AZ-900 exam preparation a new edge. So, read on this article to know more about the AZ-900 exam and Whizlabs AZ-900 practice tests. 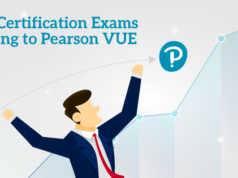 Among the new role-based Microsoft Azure certifications, exam AZ-900 is a fundamental certification that helps the entry-level candidates to validate their foundational knowledge in Microsoft Azure cloud services. There is no requirement or prerequisite for the exam. Even if you belong to a non-technical background, such as involved with the cloud-based services in terms of selling or purchase the cloud-based services or solutions. No technical qualification or experience is required for the candidate who wants to take the AZ-900 exam. But having some general IT knowledge or experience will be beneficial to achieve this certification. As Exam AZ-900: Microsoft Azure Fundamentals is the basic-level exam, it is considered as the first step when you begin learning about cloud services and solutions. Not mandatory, but the exam AZ-900 is considered as an optional step in the Administrator, Architect, and Developer certification path. AZ-900 is a foundational level exam that demonstrates the basic skills of a candidate. Just like any other Azure certification exam, the number of questions is not fixed in this exam. Here is the basic information about the Microsoft Azure AZ-900 exam. Following the right preparation path is very important to pass any certification. Follow this comprehensive guide for the AZ-900 exam preparation and get ready for the exam. Though the AZ-900 exam doesn’t require any prerequisite certification or experience, you need to prepare well with the basics of the Microsoft Azure cloud to pass this certification exam. So, to help you with your preparation, we, the team at Whizlabs prepares AZ-900 practice tests for you. Here is what you will get on the purchase of AZ-900 practice tests. Whizlabs AZ-900 Practice Tests have been curated by the team of certified professionals and subject-matter experts. AZ-900 mock exams are just like the real exam which gives you an experience of the real exam. Trying these AZ-900 practice tests many times and scoring a good percentage will make you confident enough that you will be ready to pass the AZ-900 exam in the first attempt only. How will AZ-900 Practice Tests Help You Pass the AZ-900 Exam? AZ-900 practice tests are completely exam oriented. The tests have been created all around the domains of the exam. 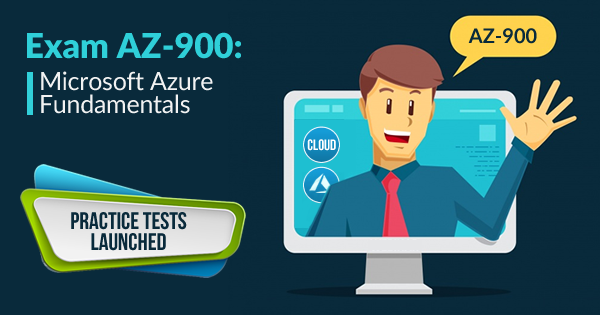 AZ-900 practice tests are the mock exams that prepare the candidate to get certified in the fundamentals of Microsoft Azure. Here are some benefits of AZ-900 practice tests that will direct you on the path to success. You can try the AZ-900 free questions to check how you are going with your exam preparation. On trying the free test, you can decide if the full-length practice tests will be helpful for you in your AZ-900 exam preparation. Full-length practice tests is a set of 165 unique practice questions. You can take these practice tests again and again to improve your knowledge. There is an exhausted explanation to every question, not only for the correct option but also for the incorrect options. It will clear all of your doubts and thus you will become ready to take the AZ-900 exam. You will find a complete test report after the exam, you can also find a domain-wise report to check your weak and strong areas. Then, you can work to improve your weak areas and try the practice tests again to check your preparation level. Whizlabs offers 100% unconditional money back guarantee which means that tests are good enough to pass the exam. If you try Whizlabs AZ-900 practice tests many times to prepare for the exam but you don’t pass the exam, then you can claim for the full refund. One of the most important benefits of the Whizlabs AZ-900 practice tests is that it comes with unlimited access and lifetime validity. So, you can take these tests as many times as you want until you become confident to pass the exam. So, prepare now with the AZ-900 practice tests and get ready to pass the AZ-900 exam. Try Whizlabs AZ-900 Free Test now! 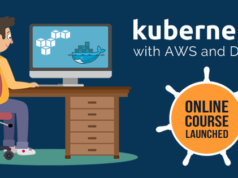 Ready to Take the AZ-900: Microsoft Azure Fundamentals Exam? So, Whizlabs AZ-900 practice tests are live now, available for all. If you are preparing for the AZ-900 exam, these AZ-900 practice tests will get you all ready for the exam. Being focused on the exam objectives, these practice tests are completely result-oriented. Not only the tests but you also get 24*7 expert support with the practice tests. All you need to do is submit your query in Whizlabs Helpdesk or write directly at support@whizlabs.com and an expert from our dedicated team of experts will contact you to resolve your query. So, what are you waiting for? Take AZ-900 practice exams now and give your AZ-900 exam preparation a new edge. If you want to discuss regarding AZ-900 exam or AZ-900 practice tests, write in Whizlabs Forum and discuss with the industry experts.